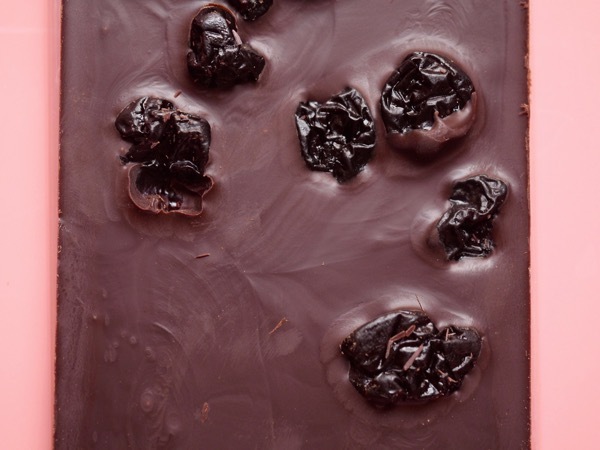 This smooth 72% dark bar was "Made in Belgium with Love for Belgium's Chocolate Source" (Milton, MA in the U.S.). 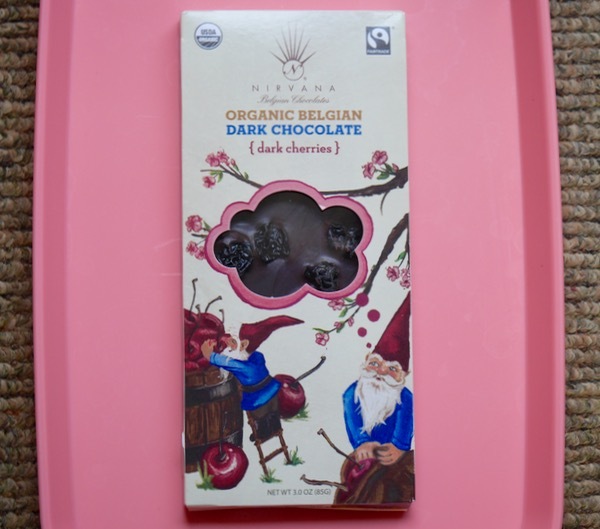 The chocolate was created in Belgium from Organic and Fairtrade Certified (94.6%) ingredients. The bar was also gluten free. The packaging was illustrated by a "wonderfully talented Boston artist," (no name listed). 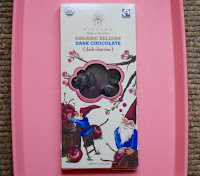 Garden gnomes were laboring under cherry tree branches, laden with spring blossoms, harvesting plump red cherries. 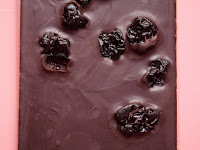 *Cherries contained cherries, apple juice concentrate and sunflower oil.